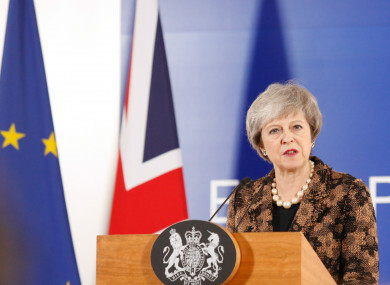 BRITISH PRIME MINISTER Theresa May is to warn MPs that a second Brexit referendum would do “irreparable damage” to British politics when she addresses the House of Commons today. However, she has argued that this would betray the 2016 result and undermine public confidence in politics. So, today we want to know: Should there be a second Brexit referendum? Email “Poll: Should there be a second Brexit referendum? ”. Feedback on “Poll: Should there be a second Brexit referendum? ”.